This is a open group and is accessible to members only. 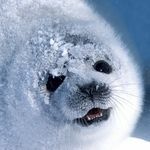 The science and conservation of seals, sea lions, and walruses. Promoting the protection of all pinniped species worldwide.